Shop a great range of salon, spa & beauty uniforms, perfect for professional healthcare institutions and beauty therapists alike. Don't forget, you can add your logo online too. 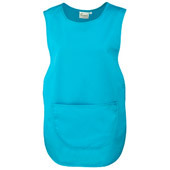 Shop our leading range of beauty, spa & salon tunics. Custom t-shirts for your salon, spa or beauty business. 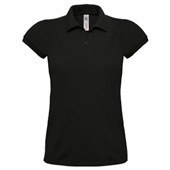 Shop personalised polos for the beauty and well-being industry. 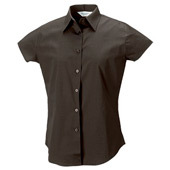 Shop shirts & blouses for your spa, salon or health centre. Personalised aprons & tabards for your beauty business. 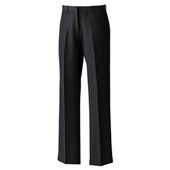 Shop comfortable, practical trousers for your company. 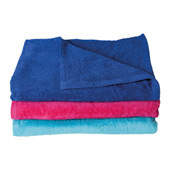 Add your logo to these towels & accessories or simply buy plain. If you work in a salon, spa, hotel or similar then you are likely to be on your feet dealing with customers face-to-face all day. This makes it especially important to look good and feel comfortable on the job. Here at Brandable Clothing we specialise in every aspect of beauty uniforms. 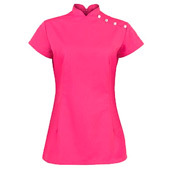 From personalised tunics right through to t-shirts, trousers, aprons and beyond. All salon uniforms are available to order plain or personalised with your company logo, and our printing and embroidery comes with a 100% quality guarantee. You’ll even find accessories such as hairdressing capes, embroidered towels, robes and more to ensure your clients enjoy a luxury experience. Shop a leading range of brands such as Alexandra, Premier and SkinniFit and enjoy multibuy discounts when you order more than one unit. We know how hard you work on the shop floor, so let us take the headache out of ordering salon, spa and beauty clothing.